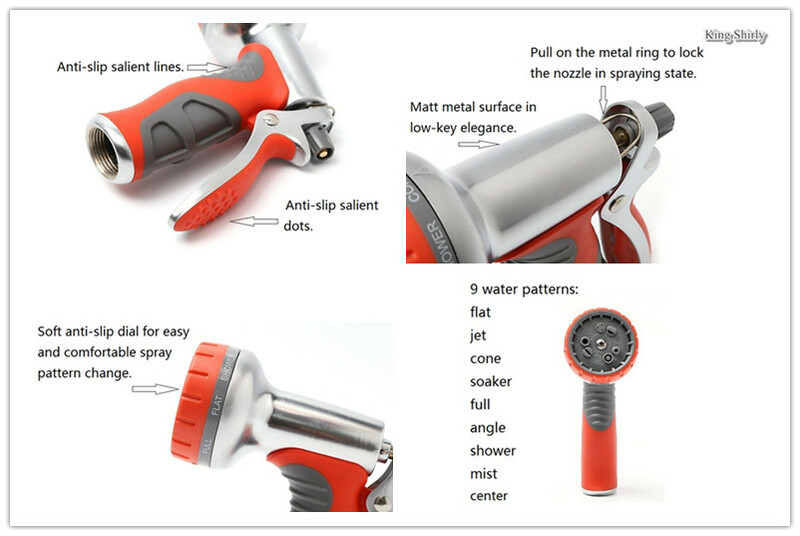 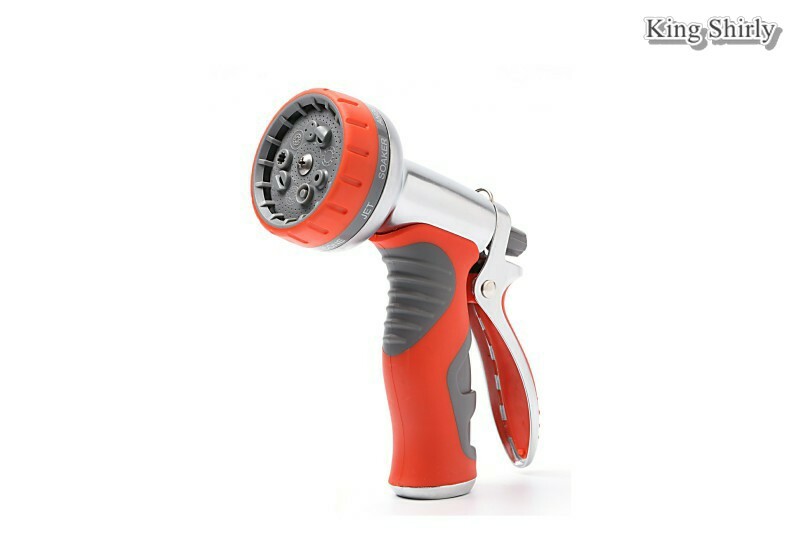 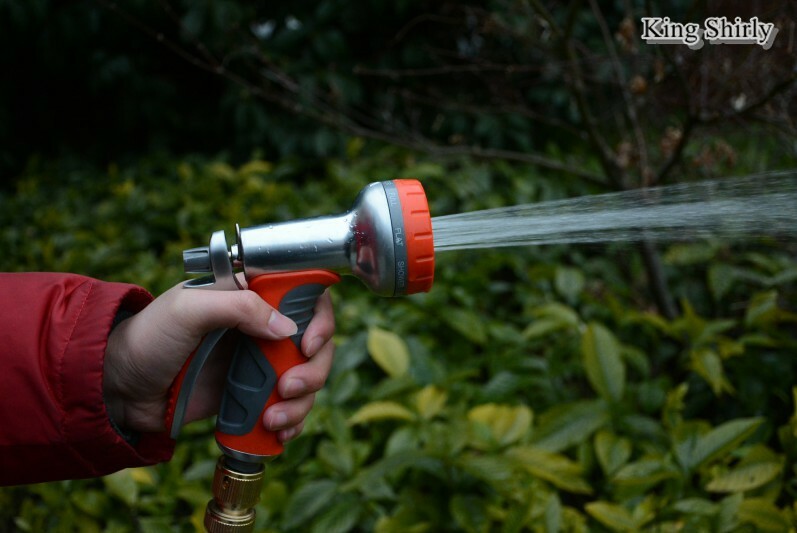 Solid metal water nozzle with soft grip and pattern dial. Multiple spray patterns with remarkable spraying effects. 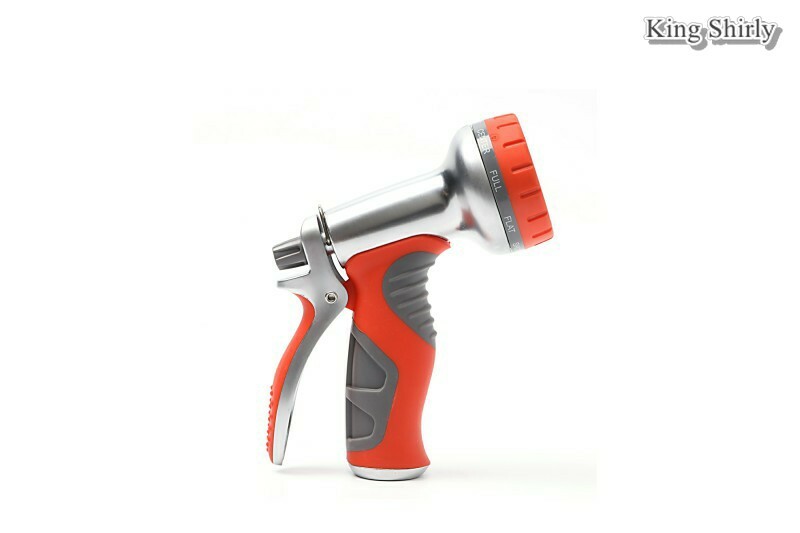 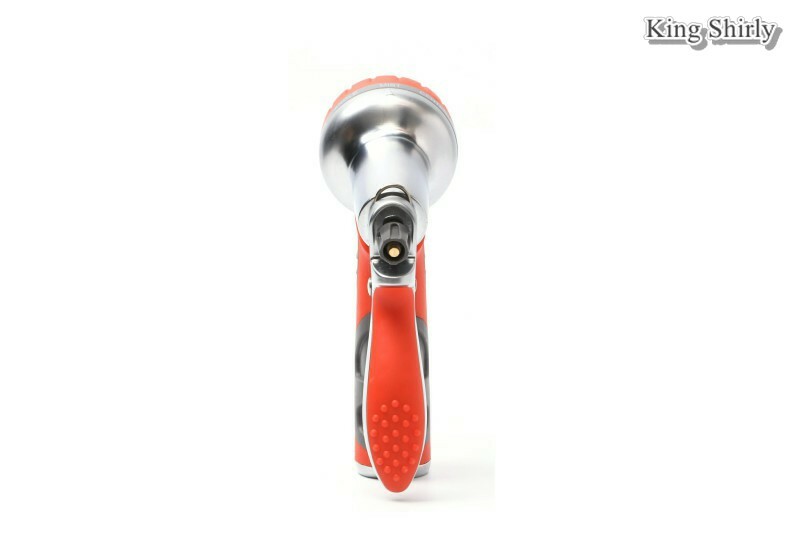 This solid metal nozzle is constructed in a combination of rust-free aluminum for the nozzle head and soft TPR plastic for the grip and pattern dial. 9 spray patterns with remarkable spray effects meet various watering and cleaning needs. Thread coupling for hose link.